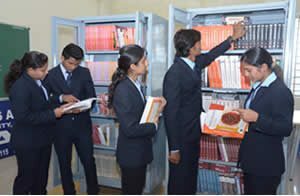 Our institute has well stocked library which carries over thousands of books of different authors apart from text books the wide range of general management, personality development and general knowledge books are made available. The highlights of the library is having wide collection of business journals, magazines and articles which are also available for students reference. Our computer lab is connected with high speed internet facility made available for online research throughout the day. The lab is constantly upgraded with latest software based on requirements and to keep up with the changing requirements. Our classrooms provide spacious seating arrangement for students and are all connected with Projectors for rich classroom experience.